President Obama signed a sweeping health reform bill ” The Patient Protection and Affordable Care Act on March 23rd. According to the Congressional Budget Office, it is expected to reduce the federal deficit by $124 billion. Insurance Companies Insurance companies have to remove life-time caps on illness costs, cannot drop you if you fall ill and cannot deny coverage to kids with pre-existing conditions. Independent Contractor Property Managers, Real Estate Professionals and EmployeesChildren up to the age of 26 can stay on their parents plan. Medicare D participants receive $250 credit. Retirees between age 55-64 are offered re-insurance program. Employers ” Property Management Companies If you own a property management company that offers health insurance, you get a 35% tax credit from premium paid. Small employers can get tax credit up to 50% of premium paid. Insurance CompaniesInsurers cannot raise premiums without providing justification or will be taken out of state insurance exchange pool. 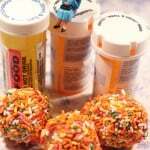 Medicare D participants receive 50% off brand name drugs while in doughnut hole. Employees contributions to Flexible Spending Plans are capped at $2,500 limiting the amount that can be used to purchase health care with pre-tax dollars. Penalty for non-qualified withdrawals from Health Savings Account (HSA) increases from 10 to 20 percent and 15 to 20 per cent for Archer Medical Savings Accounts (Archer MSAs). If you are single filer and earn at least $200,000 per year or a joint filer earning at least $250,000 you will pay additional Medicare tax of nine-tenths of one percent called Hospital Insurance tax on income above these amounts. Itemized deductions for unreimbursed medical expenses rises from 7.5 to 10 per cent. It has an impact on individuals who itemize deductions. Employers ” Property Management Companies New Medicare tax is to be withheld by property management companies. Independent Contractor Property Managers, Real Estate Professionals and EmployeesAll individuals are required to carry health insurance or pay an IRS penalty of $750 per individual or 2% of income whichever is greater. Subsidies for payment of insurance cost are offered and family of four earning up to $88,000 (four times the federal poverty level) will get a subsidy. Employers or property management companies with 50 or more employees are required to provide health insurance or pay a penalty of $2000 per employee per year. State exchanges enable employers like property management companies to purchase insurance at rates similar to employees of big companies. 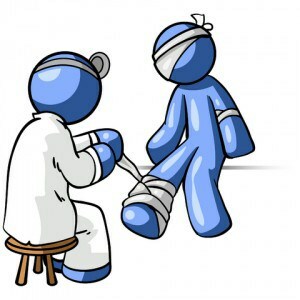 Insurance CompaniesAll insurance plans offer preventative care with no co-pays and no deductible. This blog post for Real Estate Professionals, Investors, Landlord, Property Manager, and Property Management Companies is brought to you by SimplifyEm Pay Rent Online and Property Management Software. See 5 Ways to Keep Your Property Rented – and Money in Your Pocket.